Sooo... you know that feeling when things aren't fitting together right? It is like a feeling of disorder and it brings an uneasy feeling... like you can't wrap your brain around how it all is supposed to connect. Please tell me it isn't just me! I remember the time at the beginning of the school year, last year, when I felt this feeling. I struggled to map out how my assessment pieces would fit together. Like, I knew I needed some sort of sheet to record data and I also knew I wanted to have student portfolios. But, how they connected and the pieces that were missing were bring me that 'disorderly feeling'. Unfortunately for me, I drive myself completely crazy until I find a 'map' to the problem that makes sense for me. So, last school year, at the beginning of the year, I was driving myself crazy! But folks...I got it done and I feel so.much.better. Want to go through the same process I did to get my assessments streamlined? SECTION 1: Your Goals and Standards: Learning Goals or your State's Standards are at the center of the assessment process. These goals are what you are working towards helping your students learn by the end of the year. These standards are the EXACT skills you should be assessing and reporting on. Think it Out: What Goals/Standards do you use? Do you use your State's Early Learning Standard? Or do you use a set of goals given to you by your administration? 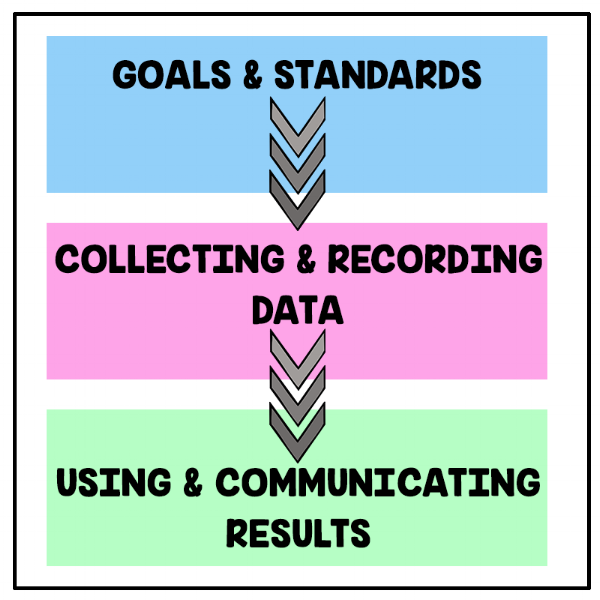 SECTION 2: Collecting and Recording Data: This is where you will take the Goals/Standards you are using and decide which skills you are going to collect data on. In my state, the number of standards was a bit overwhelming, so I had to narrow them down to make my data collection realistic (here are the goals I use). You will need to decide how you plan on collecting data for the goals that you have established. This is where you find out from students what they know in relation to the standards. Recording the data you have gained is the step that I was struggling with the most. I knew I needed an all-inclusive list of the skills I was assessing for each student. Finding the right one for me was what was giving me a problem. Eventually, I had to create my own. Think it Out: Will you complete some whole class assessments? Will you do individual assessments? Will you try to make your assessments as play-based as possible? How will you record the data that you gained during your testing? Will you have individual student recording sheets? Or, a class recording sheet? SECTION 3: Using and Communicating Results: This last section (I feel) is the most important. Now that you have data on your students, it is time to use it! Finding discrepancies of a certain skill in all or most of your students may mean that the skill needs to be brought to light again (and probably several more times) in whole group. 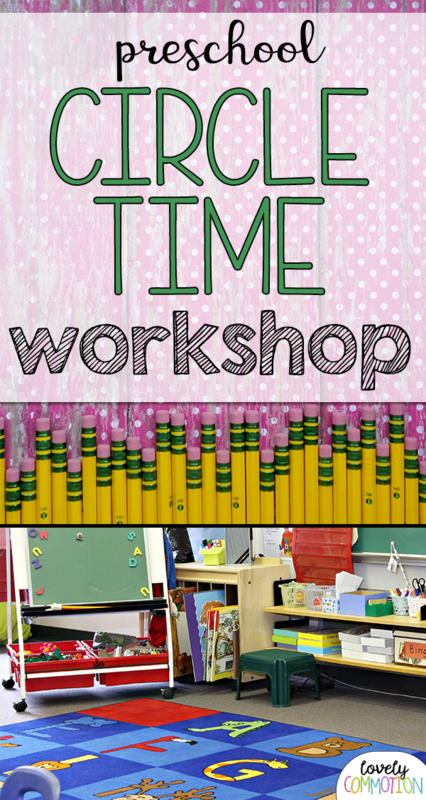 If you are finding just a couple of students struggling with a particular skill, it may mean that a small group time with those students, focusing on that skill, may be in order. You may also find that one student is struggling with multiple skills. Choosing one skill to focus on and working with that child one-on-one may be the best route. The last step is to decide how you plan on communicating the results with parents and caregivers. Our preschool uses portfolio-based reporting, so the decision was easy for me. Perhaps you have a certain way to report to parents as well. But if not, go through the 'think it out' questions below. Think it Out: How do you plan on using the results from your assessments? Will you use results to guide whole group instruction? Will you create small groups or work with students one on one? When do you plan on working with the groups? How do you want to communicate results with parents? Will you use a report card style info sheet? Will you use portfolios to show progression? Or will you just report to parents during a conference? Streamlining your assessment process is a lot to think about. But, I hope this post has helped you get your thoughts in order for a successful year of using assessments to guide instruction!